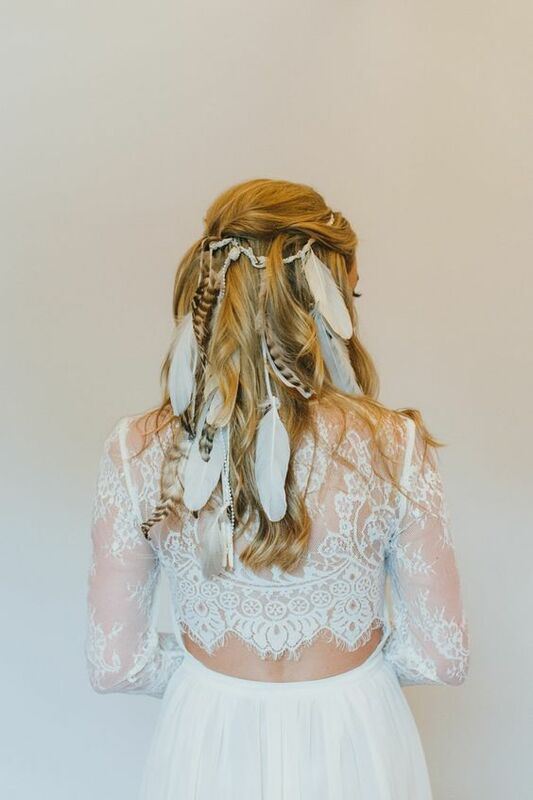 Boho chic is the most popular style for weddings today, and more and more couples choose it. 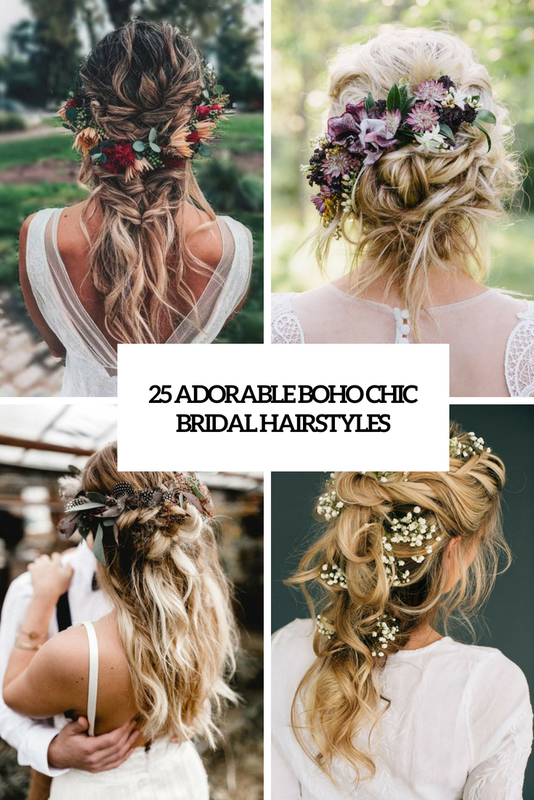 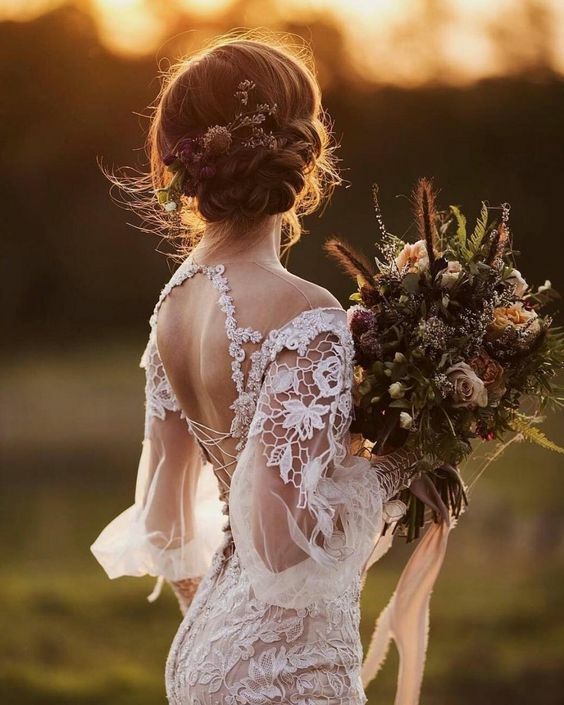 If you are a boho chic bride and are looking for a proper hairstyle, we’ve prepared some nice ideas that may inspire you. 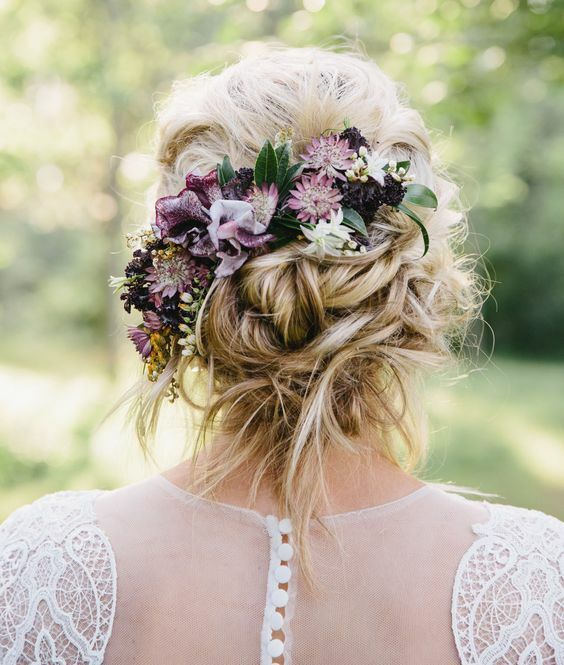 Braids, updos and half updos, ponytails and many other ideas are here to inspire you. 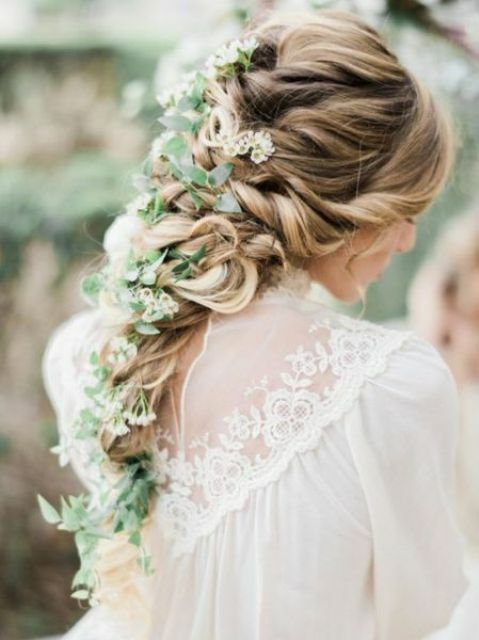 Let’s take a look at them! 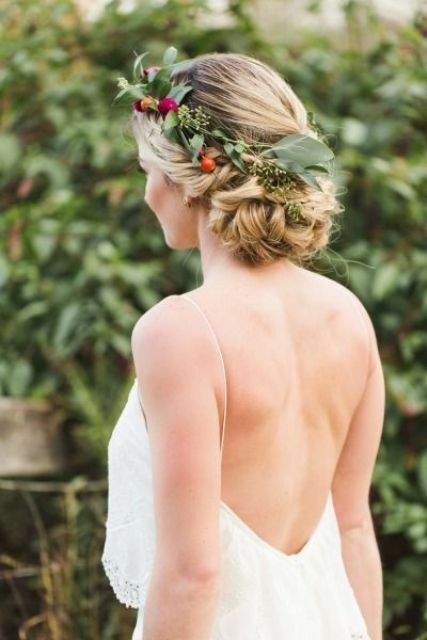 A half updo is a comfy and romantic idea for a boho wedding. 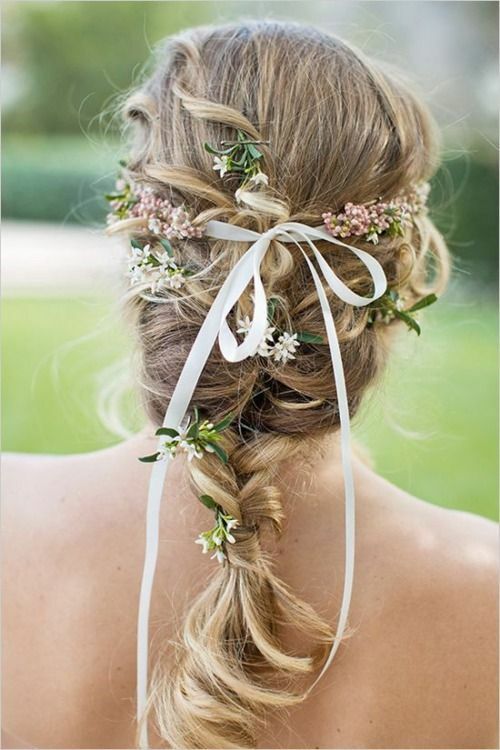 It may be twisted, braided, curly or mixed, you may rock a halo, a twisted or a braided one. 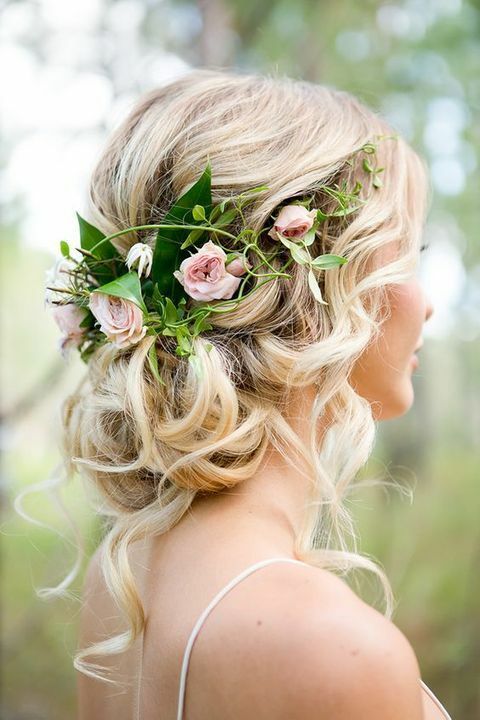 Add waves or curls down and tuck some fresh blooms and greenery into your hairstyle. 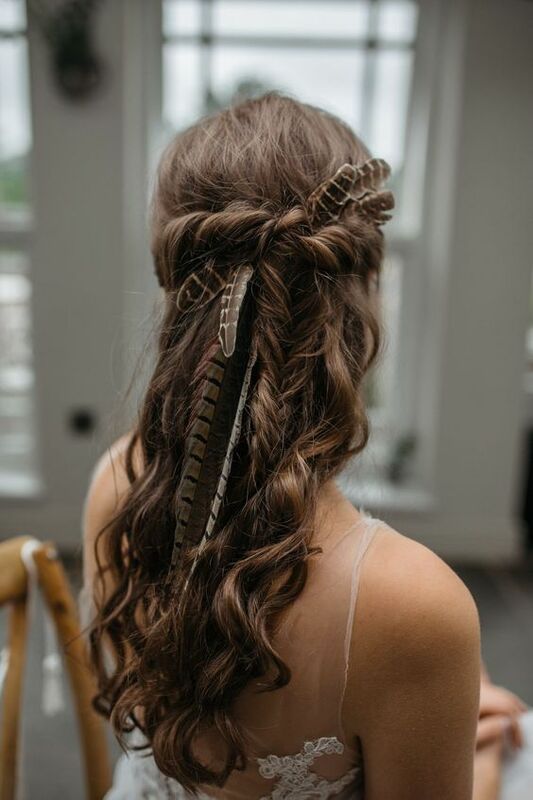 If you want a wilder feel, tuck berries, herbs and feathers or even hang some feathers attaching them to your locks. 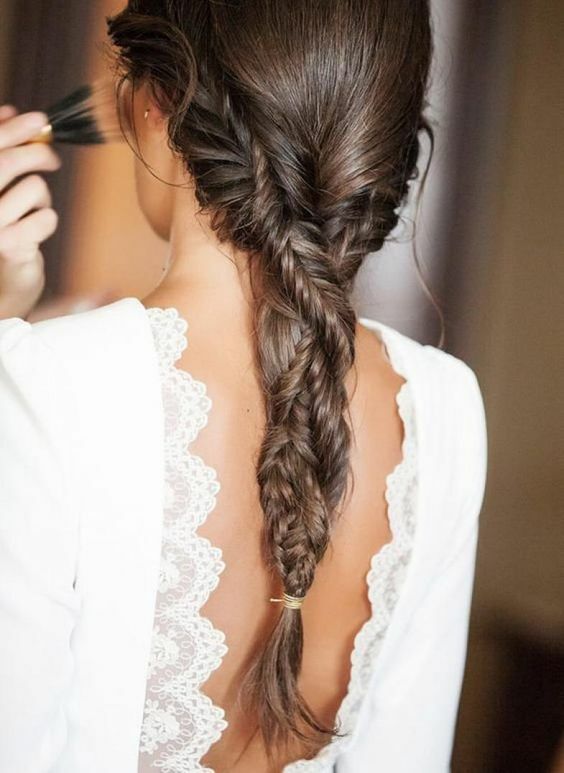 A braid is a trendy idea for any girl, rocking a braid at a wedding is super hot. 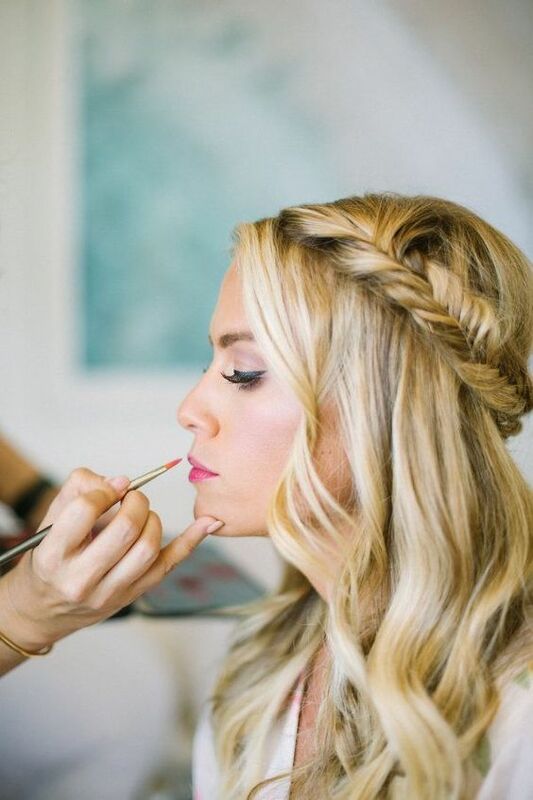 Rock a textural braid – a usual, French, fishtail, Dutch or any other, and curl the ends and add some texture and a volume on the top. 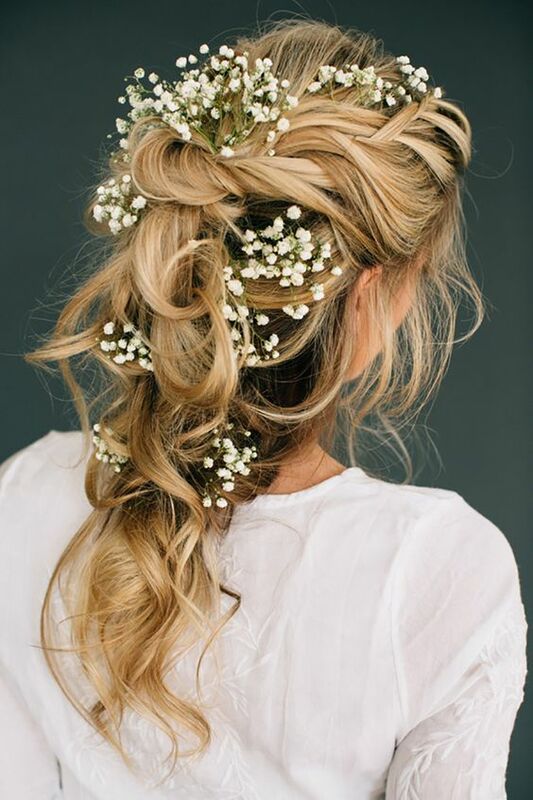 Try a textural messy braid, maybe a twisted one, tuck some greenery and flowers right into the braid. 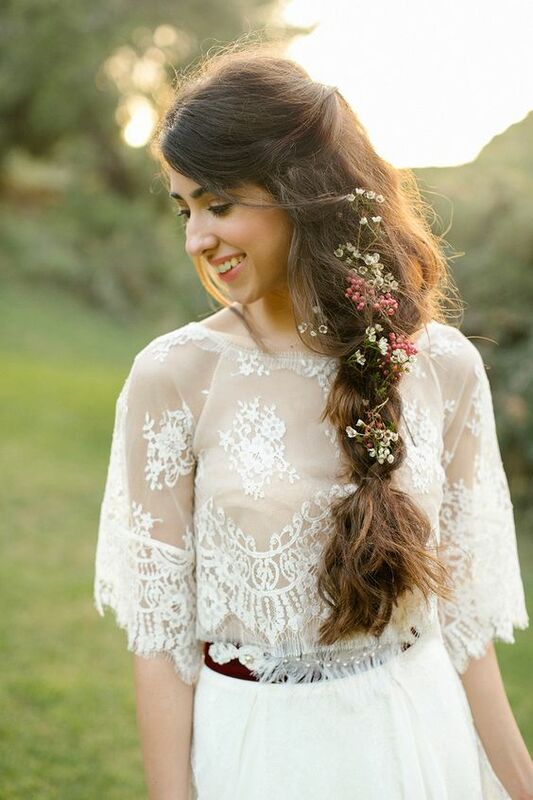 Go for a ponytail with a braid, with textural hair a bit of mess to make your look more boho-like. 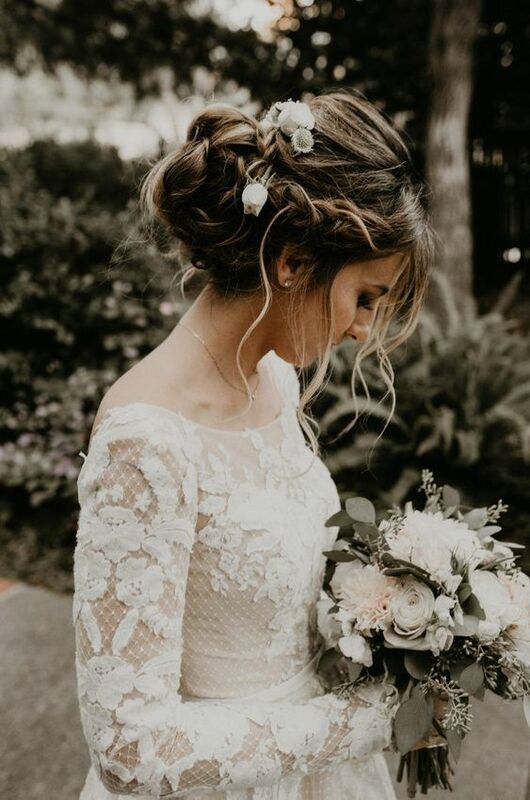 There are tons of updos and low updos to try, an updo is a guarantee that you’ll be picture-perfect during the whole day. 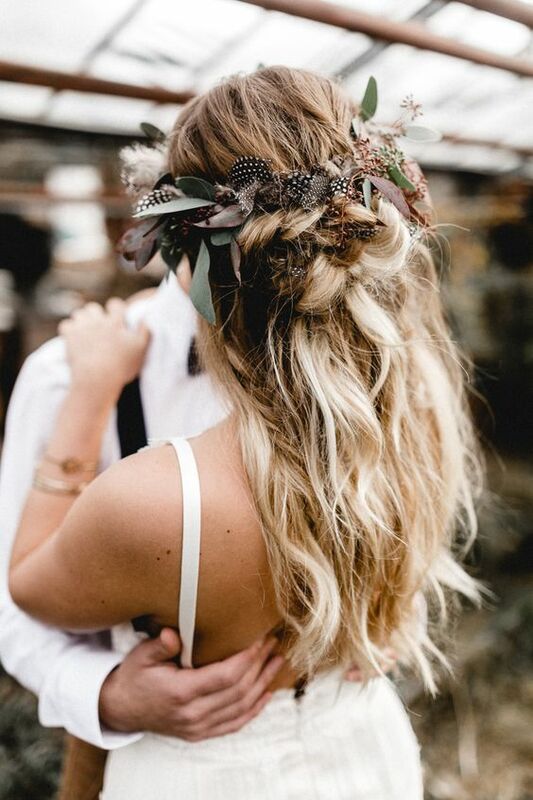 Boho chic updos are not very sleek and more messy ones, which means that in case of bad weather you’ll have an advantage – the mess is already there! 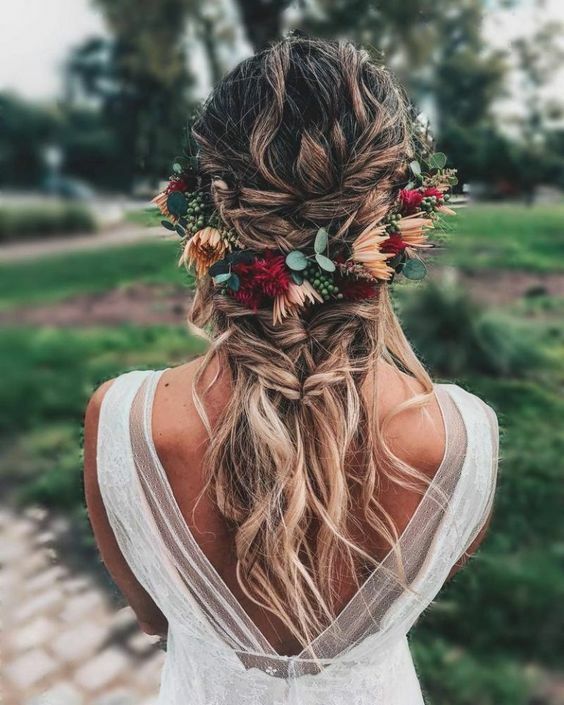 Braided updos are number one for a boho chic bride, there are various more or less messy hairstyles with larger or thinner braids, with halos and not only. 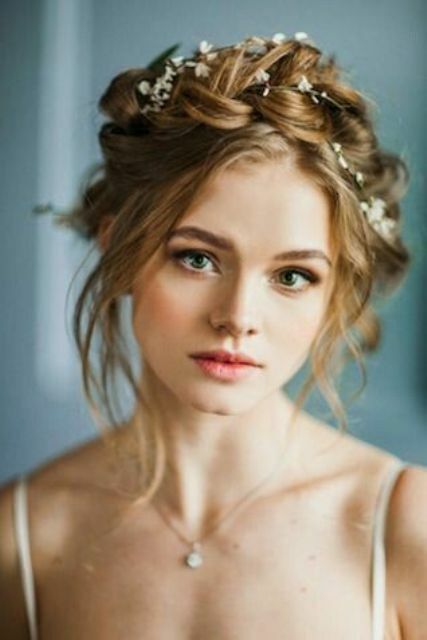 Textural wavy and messy updos and low updos are rather universal ones, to give them a more boho look, add a bit of mess. 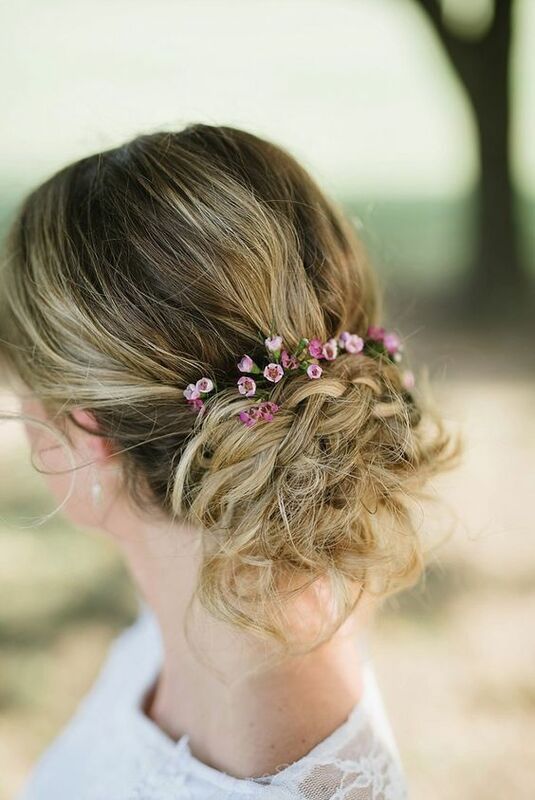 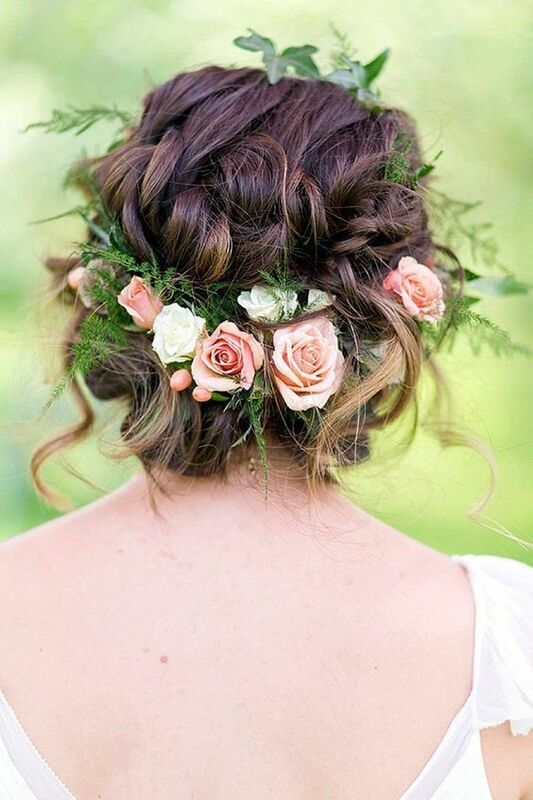 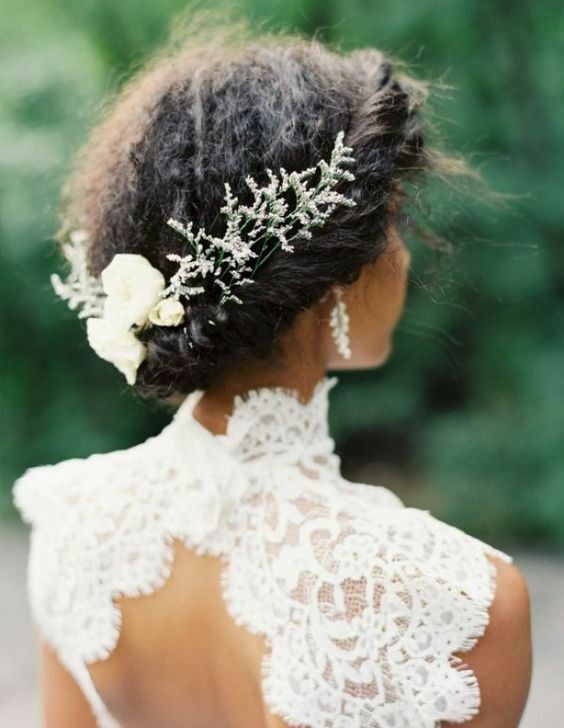 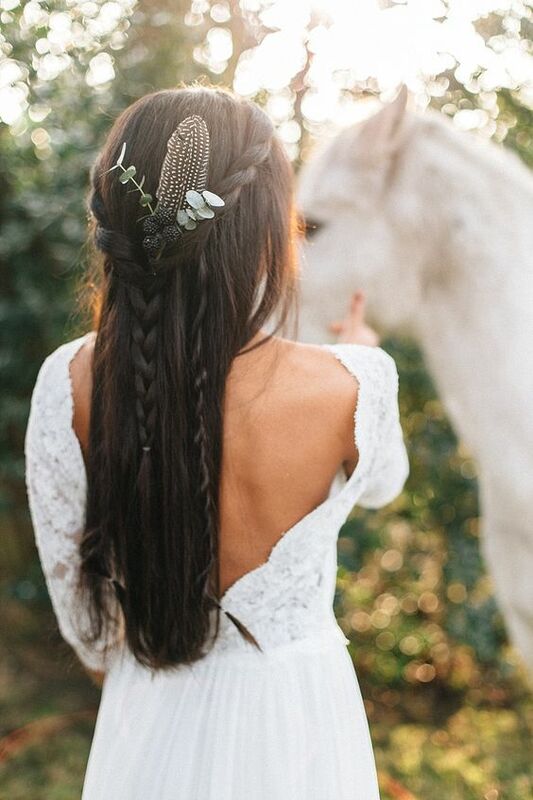 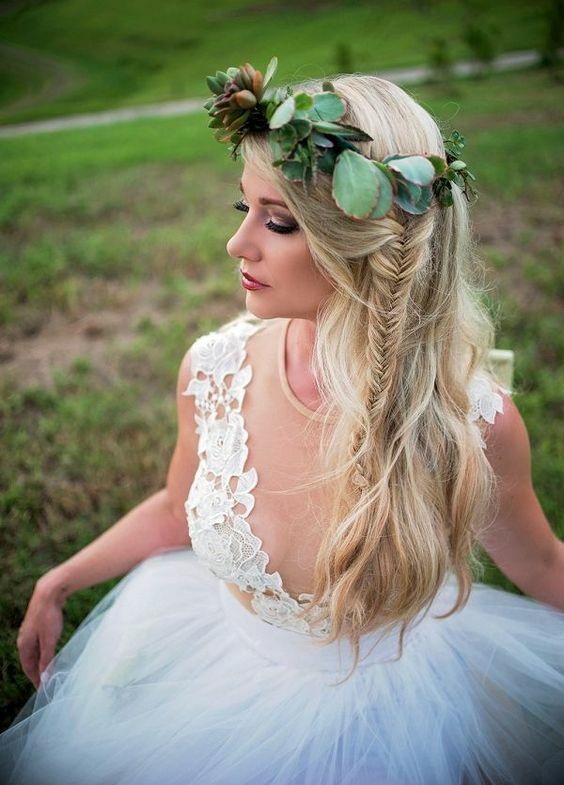 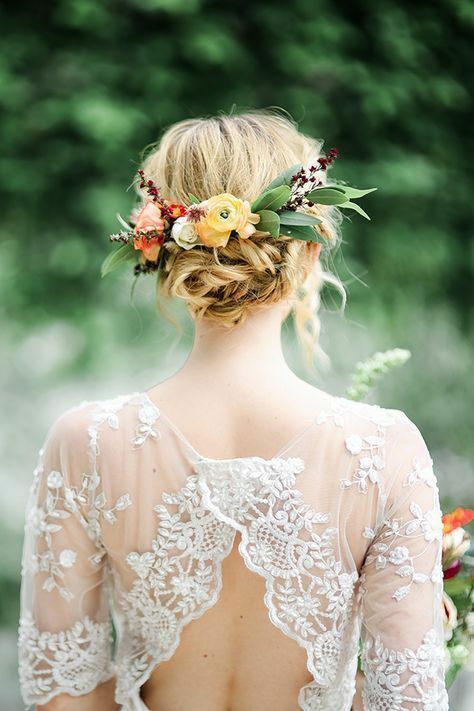 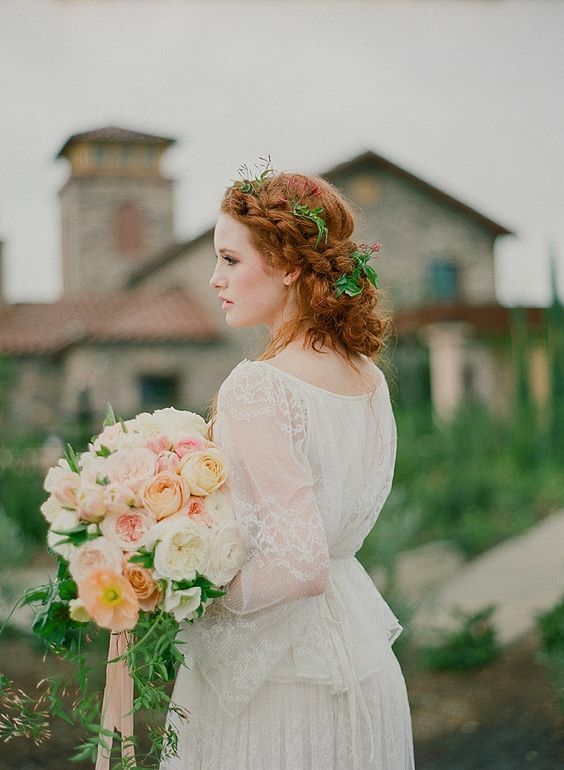 Tuck fresh blooms and greenery into your hair – it’s always a good idea for a boho bride, get inspired!